SCHAUMBURG, IL (October 2012) – The new ND 120 QUADRA-CHEK metrology digital readout (DRO) from HEIDENHAIN is designed specifically for manual measuring machines such as optical comparators and measuring microscopes. As an offshoot of HEIDENHAIN’s ND 1200 QUADRA-CHEK, the ND 120 offers most of the functionality but at a lower price point. It supports two- to three-axes with the third axis switchable between linear or rotary. The new ND 120 QUADRA-CHEK has a monochrome flat-panel screen for displayed values, measured features, and graphical displays. It combines the robust design and hardware of HEIDENHAIN’s machine tool DROs with the software and functionality of the QUADRA-CHEK metrology units. The rugged diecast aluminum enclosure makes the ND 120 perfect for harsh factory floor environments where production control takes place. Meanwhile, the capability to measure and tolerance points, lines, circles, distances, and angles makes the ND120 well suited for the demands of metrology. The appropriate combination of defined function keys and context-dependent soft keys provides the user with a clear overview and a simple-to-use system. The user friendly GUI follows previous QUADRA-CHEK software, providing users with a simple, convenient, cost effective digital readout. For more information, contact HEIDENHAIN’s Public Relations Manager Kathleen Stoneski at toll-free (888) 488-3113 or write to us at HEIDENHAIN CORPORATION, 333 E. State Parkway, Schaumburg, IL 60173. 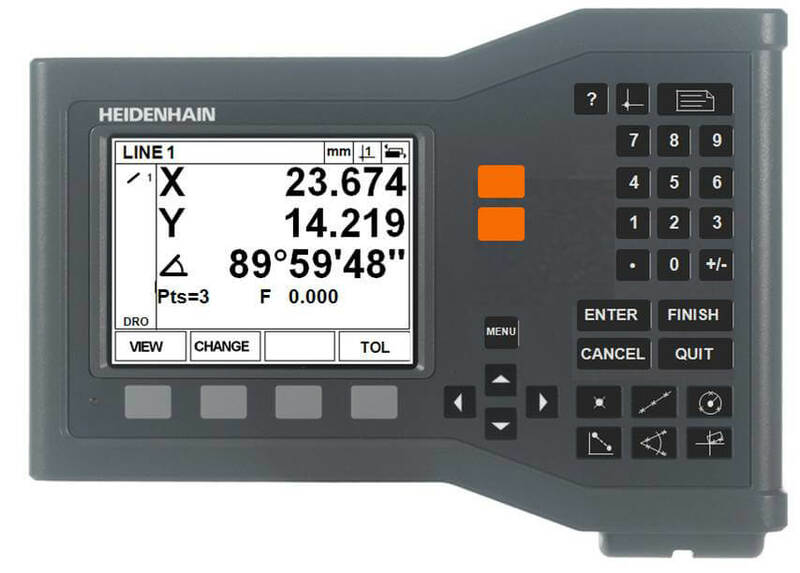 HEIDENHAIN can also be accessed directly via our web site at www.heidenhain.us.